Includes 1 Linear Delta 3 radio receiver, 2 DTC transmitters, visor clips, installation instructions. Manufacturer's warrenty. 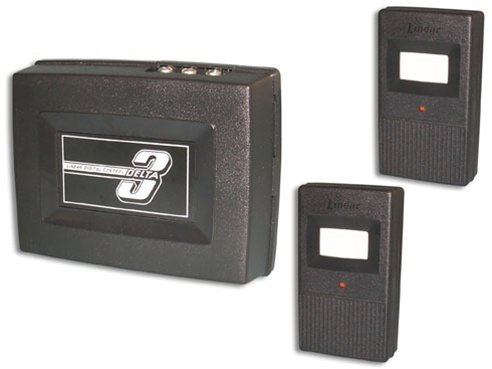 310 Mhz frequency, 24 volt, 8 dip switch programing for gate or garage door openers, Works with all Linear Moore-o-Matic Delta 3 Products including transmitter models, DTC, DT2A, DT, DT4A, LB. Compatible with Homelink System. This is a great system to add remote controls to your existing commercial or industrial garage door opener. Excellent service. Order came right away.